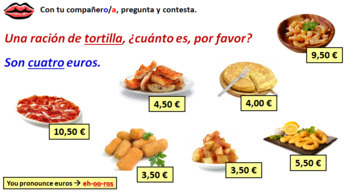 Whole lesson power point presentation & Handout on Naming Tapas and drinks; ordering in a café. Speaking task. Working in groups of three, students act out their dialogues.